Flashy Florals make a splash on Kicki's vibrant card. 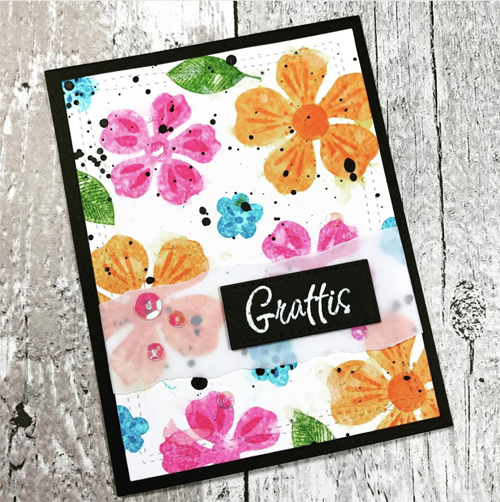 I love the colorful florals with the dramatic black base, sentiment strip, and splashes of ink - that juxtaposition makes the floral images pop even more! 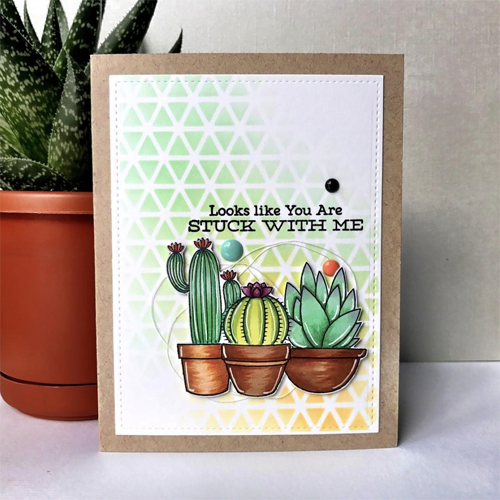 The coloring of the Laina Lamb Design Sweet Succulents is superb but I'm especially smitten with the beautiful ink blending Jamie accomplished with the Geometric Grid Stencil - what a stunning backdrop to her inviting scene. Adorable Elephants, adorable accents - don't you love the placement of that sweet little butterfly atop ellie's ear? 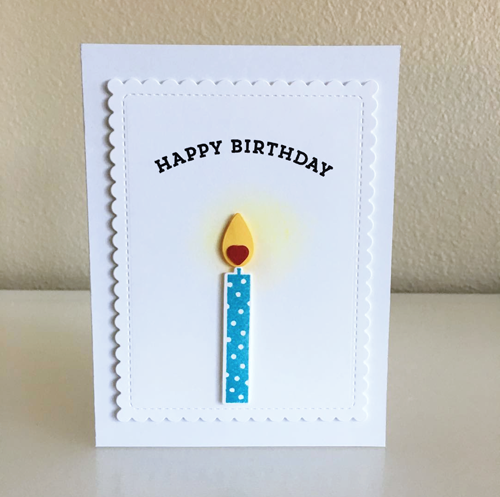 Laura's precious look features a die-cut greeting courtesy of the Hello There Die-namics - double your fun by creating a shadow effect with layered die cuts! Christine's simply sweet birthday look features Make a Wish - an essential set for your birthday card crafting needs. That bit of glowy ink blending provides the perfect touch of realism for her candle. Wow such beauties. Congrats on being spotted everyone! Wow, I am speechless! 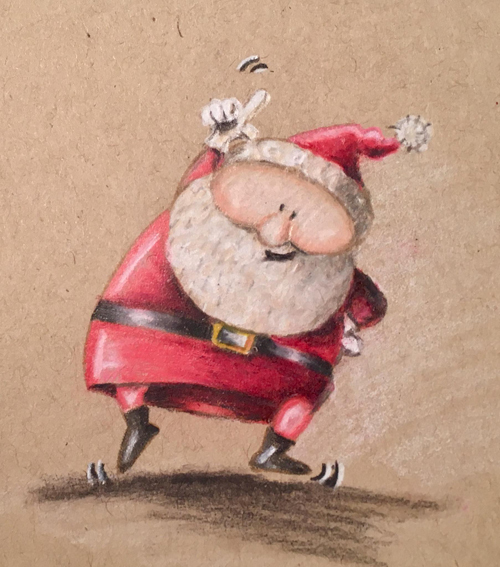 Thank you so much for including my card, it's such an honor for me! And thanks for the sweet words!